Why Consider a Dementia Community? Science tells me that dementia is not a typical aspect of aging. However, my loved one has that diagnosis; my friend has a 40-year-old son with the same medical challenge. I’m at a loss about which way to turn. What should I do now? Her doctor says brains with dementia are diseased with either vascular dementia, mixed dementia, dementia with Lewy bodies or frontotemporal dementia. Does it matter if I don’t know which one she has to get the help I need? How did she “catch it?” What should I do now? I thought dementia was just about memory. What else is going on? She cannot concentrate, or plan, or follow directions, or have a reasonable conversation or understand distances. Her moods are totally different! What should I do now? It is apparent the caregiver statements above express frustration, and the person needs assistance. When faced with a life transition like this one, calling in an expert is often the best option. 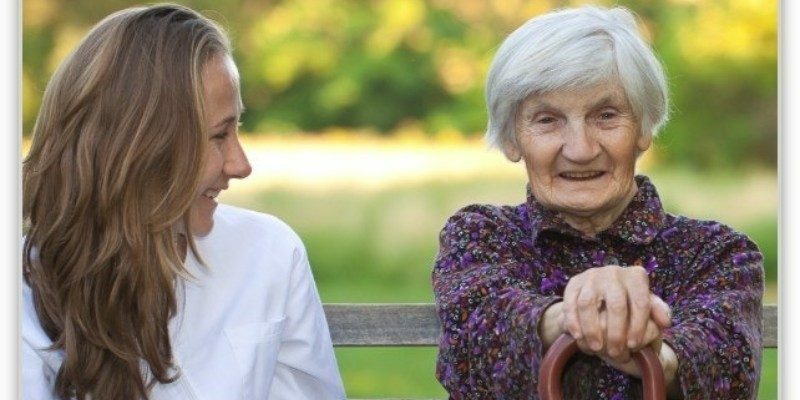 Care management is the first step to easing the anxiety that any caregiver feels when the work required as a caregiver is overwhelming. What Does Care Management Evaluate? An assessment of the patient is the first step in care management. Is he or she able to function independently? What is her or his mental status? An assessment of the management of care is the second step in care management. Who is assuring home safety? How is medical compliance being handled? An assessment of the caregivers is the third step in care management. Is it time to get professional help or move into a dementia community? An assessment of the family support is the final step in care management. Is the family able to provide the time and care required? What Should I Look for in a Dementia Community? The task of finding the right memory care facility can typically appear daunting. The responsibility for finding the right place falls squarely on the shoulders of the home caregiver or a family member. Try to find several options and carefully evaluate each by visiting them all. Think about your patient and which one seems the best fit for him or her. Ensure you make an informed decision. The transition will be hard on the victim of dementia and all those who are close to him or her. However, in the right facility and after the initial adjustment period, the patient will be active, engaged and likely far less frustrated than she or he had been at home. Ask Yourself: What Does My Loved One Want in a Dementia Community? There may be moments of absolute joy in a dementia community. Imagine a dog lover whose last dog died, and no caregiver wanted to take on the responsibility of providing for a pet that would also need care. Despite the debilitating mental effects of dementia, the impact of a dog around someone who has had a dog all their lives can be very therapeutic. In the right facility, a therapy dog will visit and fill that gap without the day-to-day care that any domestic pet requires. Maybe your loved one adores swimming. Does the community have a swimming pool? Is it a shallow pool with no drop-off? Does the pool have plenty of handrails? Is the pool spotlessly clean? Are there lifeguards on hand? Does it lock up tight at night? Do not ignore your loved one’s request for a way to see or visit nature. In 2001, Dr. Howard Frumkin published an article on the priceless medical value of a patient looking into a natural outdoor setting; healing is faster and more complete. Since then, his research has been even more convincing. A beautiful view may be exactly what a dementia community needs. 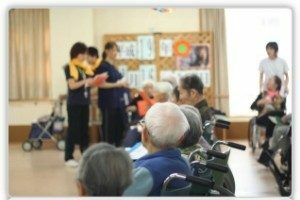 In the UK, one of the elderly care facilities has approximately 200 residents. There are three facilities for the daycare of pre-school aged children on the same property. Every day one group of the children visits the residents. They talk, play games and watch the children as they grow. This is only one delightful way for your loved one to stay feeling young, engaged and a great way to keep the patient entertained. Ask Yourself: What Does My Family Want in a Dementia Community? Visits by family members are important. Therefore, evaluating the distance to the Dementia community is an essential consideration. When you evaluate a community, look for things like parking and easy access to your loved one. Other considerations include the presence of distracting noises/light/smells that make it hard to relax and visit with the patient. Make note of the answers to these important questions: is the facility clean; is the outdoor area welcoming; are there stores or restaurants nearby to visit with the loved one; are you able to interview existing residents; if so, are they well-groomed? Obtaining proper nutrition is very important for the elderly. They need to get enough calories along with the vitamins and minerals that only unprocessed foods can provide. Dementia victims ideally should eat fresh fruits and vegetables. Also, there is scientific evidence that GMO foods and chemically laced processed foods can cause a lot more medical challenges in the very young and the elderly. It’s a good idea to visit each home during mealtime and to ask for a copy of the menu for that week. There are too many stories about people in elderly care being harmed by unqualified employees. This is not an area where shortcuts are acceptable. Caregivers, nurses, doctors and social workers must meet or exceed state standards. Take a lot of time in this area to assure everyone that qualified people are doing all aspects of caregiving. Read more at Guide For Seniors about problems seniors may have.